Want to shrink an image? Are high-quality photos taking up too much space on your hard drive? Want to send vacation pics to a friend but they’re too large for your email client? To solve these problems, you need an image shrinker app. 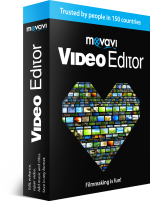 Movavi Photo Editor is the perfect choice for shrinking and editing images. 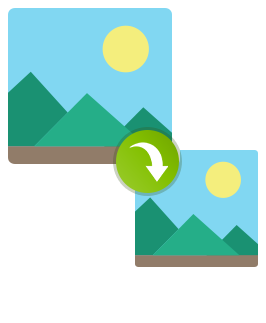 In this guide, you’ll learn how to shrink picture sizes using Movavi Photo Editor. The program runs on all recent versions of Windows and macOS. Open the downloaded file and follow the instructions on screen. Once the installation is complete, launch the program. Choose the pictures you want to adjust the size of, and drag them to the workspace or add them by clicking Open on the File menu. Handling high definition photos always means we have to deal with large file sizes. 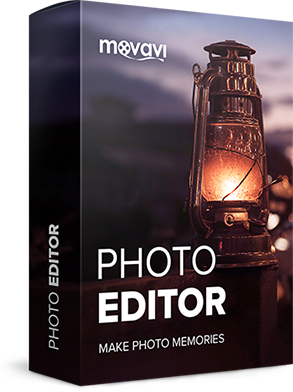 Use Movavi Photo Editor to scale down pictures easily. On the main toolbar, click the Resize tab. By default, this tab is hidden, so click More to access it. 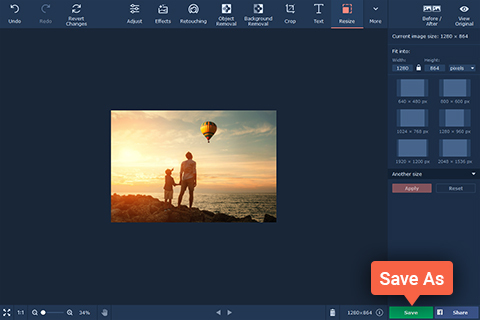 For your convenience, you will find a variety of image resizing presets in the right pane. Choose a ready-made preset or define a custom width and height in the Fit into box. 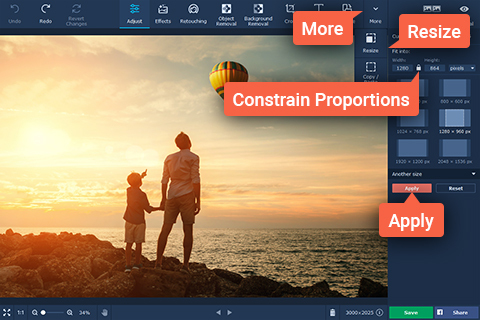 If you want to scale image width and height dimensions individually, unlock the Constrain Proportions icon. Click the Apply button to make the changes to your image. Once you set the proper photo size, click the Save button to export the image in an appropriate file format. 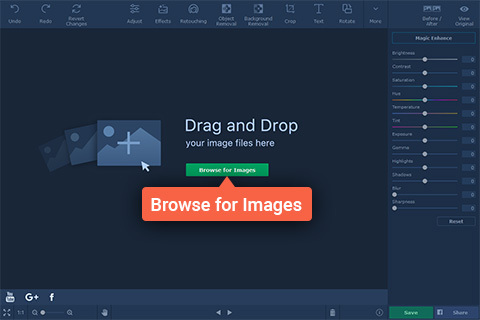 You can also downsize large PNG or TIFF pictures by changing the format and output quality. In the Save As dialog box, choose Image JPEG and click the Quality button. Move the slider to the left to shrink photo file size. A high compression ratio will result in poor image quality, so we recommend you to set this value to no less than 90%.